Can mediums communicate with the dead? Do people really believe they’ve been abducted by aliens? Why do some people make life decisions based on their horoscope? The Psychology of the Paranormal explores some commonly held beliefs regarding experiences so strange they can defy an obvious scientific explanation. The book explains how psychologists have conducted experiments to provide insight into phenomena such as clairvoyance, astrology, and alien abduction, as well as teaching us fundamental truths about human belief systems. 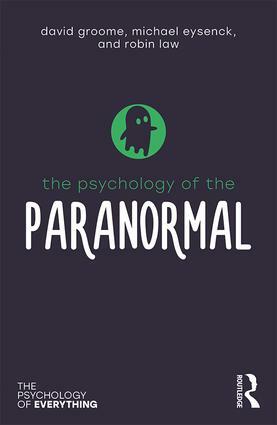 From debunking myths about Extra Sensory Perception, to considering whether our lives can truly be fated by the stars, The Psychology of the Paranormal shows us that however unlikely, belief in the paranormal will continue to be widespread.